Our Telegram group is one of the cornerstones of our community. The group has over 20,000 members. 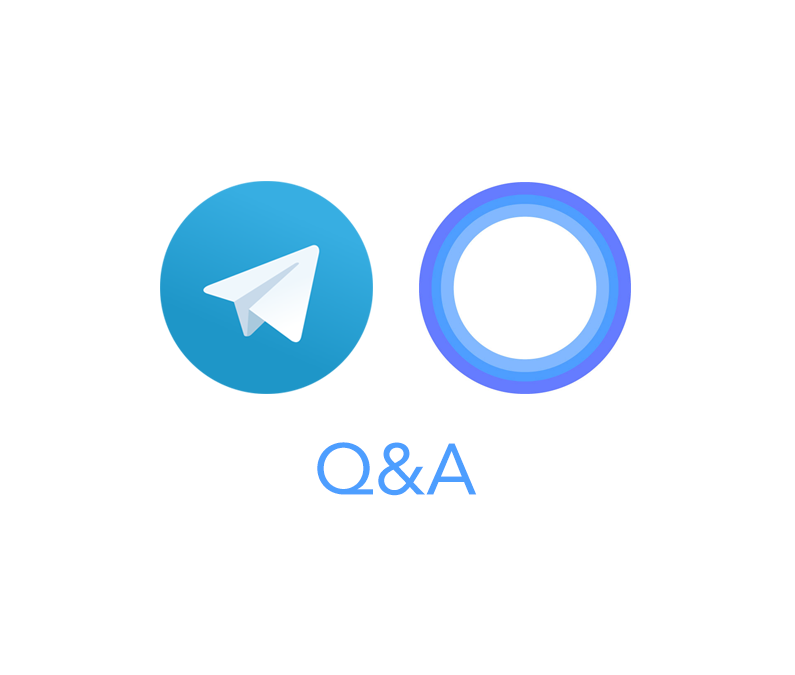 Our Telegram admin, Hunter, recently asked the group if they have any questions for us and below are the questions that were asked. We may make the Q&A a periodical event. We have gone through and answered the first round of questions and we want to positively acknowledge users for submitting well thought out questions. Q1 (@Southnjes): Regarding companies purchasing tokens, I asked earlier where these companies would purchase their tokens for ad placement. The response I got from Hunter was essentially “Idex, Forkdelta.” Obviously now HitBTC and BiteBTC. I’m sure you as well as I and nearly all else understand that companies would most probably NOT purchase tokens on these type of exchanges. So with that said, what is the plan for real companies to purchase tokens? It’s true that some companies wouldn’t want to use an exchange to buy tokens. As such, we’ll likely need a service to convert their preferred currency to XCLR tokens. The first that comes to mind is Changelly’s API. We are currently exploring the best option. The goal is to have an easy way for a buyer to acquire the XCLR token or a way that allows them to use a preferred fiat currency which converts to the XCLR token in a seamless way. The buyer should not experience any inconveniences in the process of converting to XCLR. Q2 (@Southnjes): Token “purchase and use”. WP does not address this specific issue at all. In regards to “purchasing and use” of tokens by a prospective client. Can you explain how that token will be “used”; use as in “not available for further use or kept in circulation”. Many projects will “burn” tokens that another entity has used so that it is out of the market. That leaves less token amounts which invariably leads to an increase in demand for a token to be used within the ecosystem for which it was constructed. This also increases demand and increases the price of tokens (eventually). Q2a (@Southnjes): Will Clearcoin “burn” tokens that are purchased and used on it’s ecosystem? It’s an interesting prospect. However, the burning of a used token could result in no tokens available at all after some time period. For example, 1 billion tokens are used over a four year period within the network and they all are burned. There wouldn’t be any left to use after that. There could be another method of burning that doesn’t involve burning every single used token. Burning every single used token would mean that after 1 billion are used then there’s no more left to use. Q2b (@Southnjes): Will Clearcoin keep and maintain “purchased” and “used” tokens for later use, or will they be held until a later date so that they can be reintroduced back into the ecosystem? If a token is used on the network, it could be held by the publisher who was paid in the token or the publisher may resell it to buyer who wants to use it. In this scenario, the way to increase the demand for the token is greater demand and supply on the network. Increasing demand and supply on the network is an important focus for the team. Q3 (@Southnjes): Would like to know if any other companies or blockchain related foundations are even interested in joining forces to work towards a decentralized future. Q4 (@JusticeBeaver): Any idea when CMC will show market cap and generate price pulling from all the exchanges we are now on? We have submitted the data to them and it should be updated soon. Q5 (@AlanWalsh): How do ClearCoin plan to deal with a company that wishes to use its platform and all the transparency it brings but doesn’t want to have any dealings with cryptocurrency. I agree that this scenario is possible, and we have a way to address it. In Q1, there is a reference to a seamless system for companies to convert their preferred currency to the XCLR token. While that solution should be fine, if there is a strong push against it, we can always handle the conversions on the backend. Q6 (@sejcore): Any Partnerships? Or take it down a notch, MOUs? Q7 (@JusticeBeaver): Are there going to be any announcements on who early adopters are and specifically are there any household names that might boost awareness / market confidence? Q8 (@JusticeBeaver): Have any companies actually started using the platform yet and if so, have the team had user feedback? At this time we are working with Oxford Biochronometrics for assistance with ad fraud tracking technology. The company has a history in cyber security and uses dozens of tracking mechanisms to verify the quality of ad inventory. We’re interested in furthering our integration with them and an announcement will come on that soon. We’ve also had a similar discussion with Moat. We are working with Beeswax for supply side access to ad inventory. The company provides hundreds of millions of queries per day on major supply sources. We’re extending our conversation with them as they may be able to provide demand for the exclusive supply side inventory that we secure. There have been a few other pilots that we cannot name yet due to non-disclosures. The intention is indeed to pursue, secure, and announce as many major partnerships as possible and that includes household names. Stay tuned to see what is announced in the future. Beyond that, we are exploring a larger partner opportunity that we believe in the future could give us as large of a reach as Basic Attention Token (BAT). By “reach”, we are referring to BAT’s access to the 3 million users of their affiliated Brave browser. For those of you in the know, BAT has consistently been a top 100 token and currently has a market cap of over $200 million. To ensure the future success of XCLR, we need major scale and that’s what we’re focused on now. To reiterate, until the partner opportunity is officially announced, it is not official nor signed off on. We’re providing this information so you know that we are aiming for the largest scale possible and actively going toward avenues that would achieve that scale. Thanks for the suggestion. We are interested in making it a one-stop solution for users to buy and transact with XCLR. We will continue to update on this front.